What's Your Best Ace Story? Getting a disc golf ace is as elusive for some as finding Sasquatch in the woods, while for others it seems they rack up the 1’s with ease. Even if you happen to be lucky and get aces more often than most, there’s still something special about them. “The team, especially those members around DFW, used to rib me for a long time. I didn't hit my first ace until nearly 9 years of playing disc golf (in 2016). The ironic part is that my now wife, when we were dating back in 2008, hit an ace the second time I took her out to play disc golf -- at my now home course Crowley Bicentennial. So for a while whenever the topic of aces would come up, they'd ask, "A Ray, how many aces do you have...?" "...and how many does your wife have?!!!" 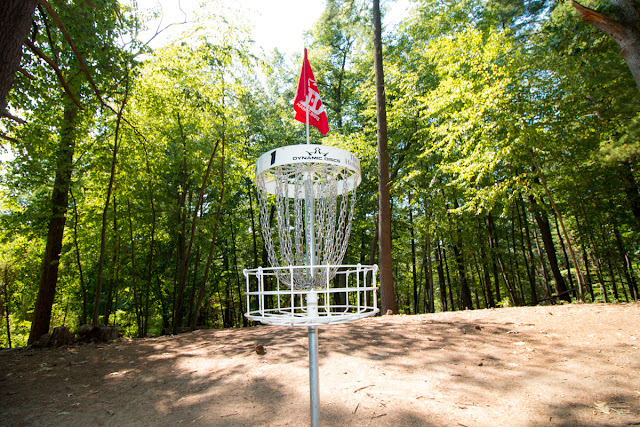 Ace stories are always some of the best around in the sport of disc golf, and we love hearing about these proud and funny moments. Do you have a spectacular ace story that you want to share with the world? Tell us all about it in the comments below! Unfortunately even after 6 years of playing I have not had an ace yet.